For better reception in vehicle interiors, this remote antenna is the answer. 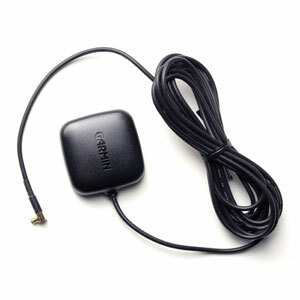 It has a built-in, magnetic mount for the outside of your vehicle, and comes with more than 9 feet (3 meters) of cable and MCX connector. Size 1.8" (4.5 cm) L x 1.8" (4.5 cm) W x 0.6" (1.5 cm) H.